Small - €38.99 Only 9 left! Large - €38.99 Only 7 left! Even though being a nerd is way cooler these days than it used to be, it still might be surprising to hear that nerds are actually party animals. But there's a lot more to partying than just dancing all night, trashing the place, and going wild with your friends. 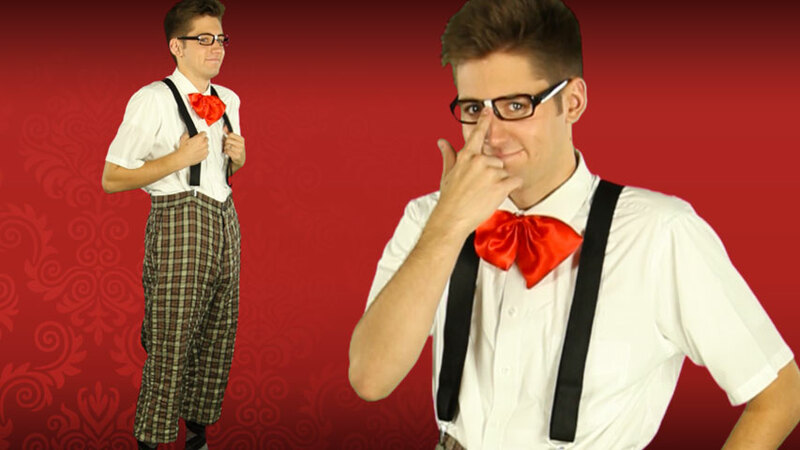 In fact, there's quite a science to putting on a killer shindig, and no one knows more about science than nerds! Who could set up a huge, complex dance floor sound system quicker than a nerd? Or, who would you call to write a computer program for an advanced and totally wicked laser light show? A jock? No way! And it takes a serious nerd to conduct research trials to determine the ideal "flavor to weight" ratio of different table snacks, so that the snack mixes are distributed evenly throughout the bowls, always resulting in the perfect handful of tasty treats. 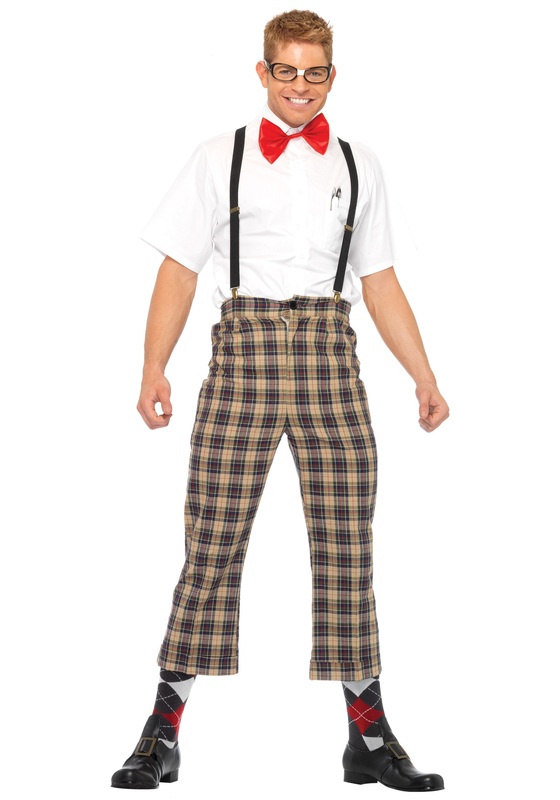 Dressing up in this classic nerd style costume is a good step toward embracing your own inner nerd, so that you too can party like one. Wear the plaid printed trousers high on your waist with pride, and slap on the big red bow tie and suspenders over any shirt that shows off your geeky side. Once you've efficiently partied with a bunch of technically and scientifically savvy nerds, you'll never want to party any other way!